32 finger holes make this toy incredibly easy for kids to grasp. Very catchable and suitable for all ages. 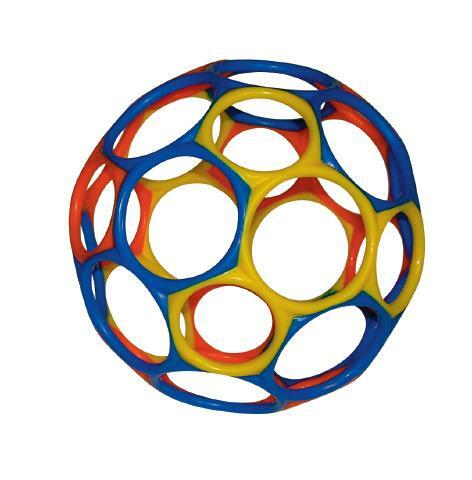 Very safe ball that is great for kicking, catching and shooting. Colors vary. Does not contain BPA, PVC, latex or phthalates. Dishwasher safeFor all ages. The Oball Small is great to help my son use his fingers more with ease.